You can attend the first session of any of our online or in-person GRE courses absolutely free. Ready to take the plunge? Check out our upcoming courses here. If you’ve been feeling frustrated with the abstruse, opaque, even occult charts and tables on the GRE’s Data Interpretation section, you might find this amusing. 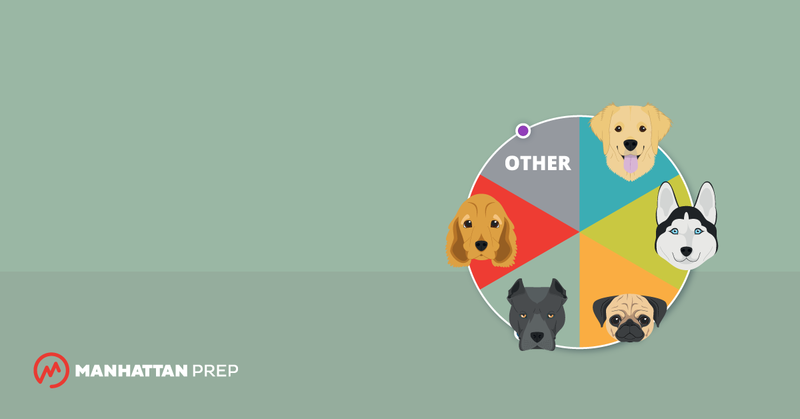 While problems with charts and tables can look intimidating, it is often the case that the questions simply require you to be able to 1) read carefully, 2) do arithmetic, and 3) convert fractions to percents, and calculate percent change. That’s it. Try this Data Interpretation problem set with five questions. What fraction of the girls are enrolled in Spanish? What fraction of the students are boys who are enrolled in Spanish? What is the ratio of 9th grade girls not enrolled in Spanish to all 9th grade students at Millbrook Middle School? If x% more students are not enrolled in Spanish than are enrolled in Spanish, what is x? If 2 of the boys not enrolled in Spanish decided to enroll in Spanish, and then 8 new girls and 7 new boys enrolled in the 9th grade at Millbrook Middle School and also in Spanish, what percent of 9th grade students at Millbrook would then be taking Spanish? Record your answers on paper before continuing! Here are two hilarious — but mathematically GRE-like — problems written by Manhattan GRE instructor Tommy Wallach. As on the real GRE, both questions use the same set of two charts. The first question is multiple choice; the second requires you to enter your own answer. You may use a calculator. 1. If the five categories of irony were placed in the slice appropriate to them in the first chart, approximately what would be the internal angle of the slice labeled nostalgia, in degrees? 2. 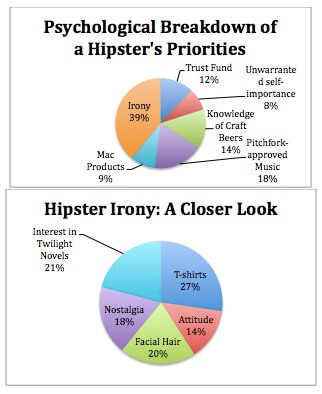 If a hipster’s priorities were expressed as a percentage of 500 priority points, what would be the point difference between knowledge of craft beers and ironic attitude, rounded to the nearest tenth? Give these problems a shot before reading further.